In the rare case of your IP connection failing, we offer you our versatile backup functions. Failures can affect SIP trunking as well as PBX. 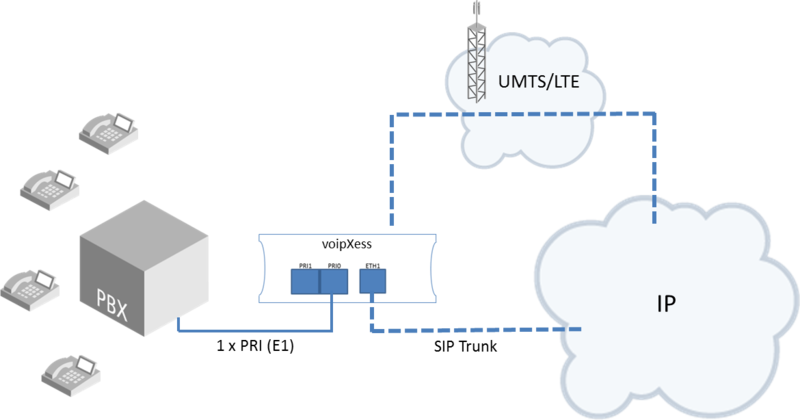 Our solutions use ISDN as well as mobile communications technologies such as LTE and UMTS, thus also realizing lines which are physically independent from existent ones. In this process, routing takes place automatically, and use of available access points need not be specially configured. If a connection to a cloud PBX is interrupted, our products offer alternate access to local VoIP telephones in order to guarantee basic functions such as outgoing and incoming calls.